If you're bored and just looking to browse through some pretty things, you can visit my tumblr page. I post some of my outfits, and just things that I "like" on tumblr. =). 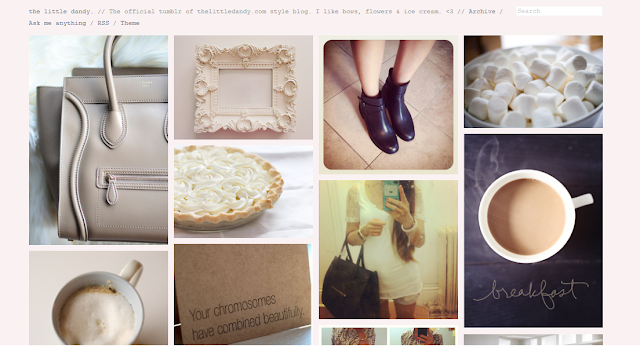 Your tumblr is beautiful, as well as your blog! i'm following you now! I need some help, I've looked at your header and your tabs at the side - what program did you use to create those as I've been looking everywhere and still can't find one - your help would be much appreciated! Thanks so much Bella! I'll comment you some info on your blog =).